Is fat under your chin diminishing your appearance? The “double-chin” created by pockets of fat that can accumulate under the chin can make you look heavier and older. This condition affects people of all ages and weight levels; even young people at healthy weights can have a double chin. 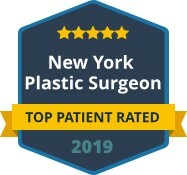 Dr. Maurice Khosh is a certified facial plastic surgeon that offers effective face & neck treatments to eliminate fat under the chin for a youthful, healthy appearance. Genetics and other factors can contribute to the double-chin. Both men and women can suffer from this issue that creates a lack of definition in the chin and jawline. Younger people with this condition can often benefit from both non-surgical and surgical treatments that target and remove the fat. 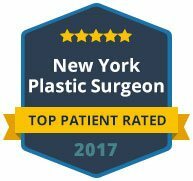 If you are older, you may also have excess or loose skin along with the fat deposits, requiring surgery for a tightened, defined appearance. Dr. Khosh can give you double chin treatment options that can help improve the beauty of your chin, jaw and neck area. One non-surgical options for treating a double-chin is Kybella injections. This method uses an injectable solution that targets the fat under the chin without liposuction or surgery. Kybella is a synthetic medication that mimics a bio acid that attacks lipids or fat cells. When injected in the fat deposits under the chin, the drug eliminates fall cells by bursting the cell membranes. The cells are removed permanently and the fat is absorbed into the bloodstream. Another option for treating a double-chin is liposuction. This can effectively remove the small pockets of fat under the chin to give your lower face and neck a more defined look. If there is excess skin, a neck lift may be recommended to tighten the skin for a more youthful appearance. Ready to get rid of your double-chin? 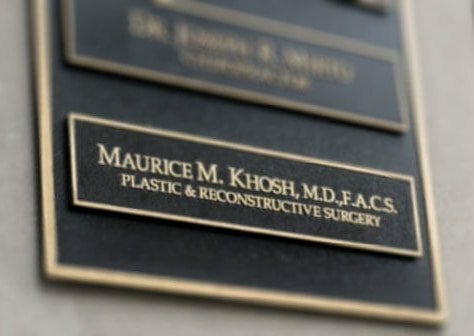 Contact Dr. Maurice M. Khosh today to learn more about treatments available for eliminating that fat under your chin.